This is our Gold 10mm PU Foam Carpet Underlay, it offers good comfort underfoot and helps keep the room warm by providing thermal protection between the carpet and ground underneath.Extremely easy to handle.Suitable for commercial and residential use. Suitable for all areas of the home.UK manufactured. This is a high quality underlay and highly recommended for any carpet purchased through us.Specifications: Thickness: 10mmTog Rating: 2.3DB Rating: 40DBConc.. This is our Silver 10mm PU Foam Carpet Underlay, it offers good comfort underfoot and helps keep the room warm by providing thermal protection between the carpet and ground underneath.Extremely easy to handle.Suitable for residential use. Suitable for all areas of the home.UK manufactured. This is a medium quality underlay and recommended as underlay option for any carpet purchased with us.Specifications: Thickness: 10mmTog Rating: 2.1DB Rating: 36DBConcrete Subfloo.. This is our Platinum 11mm PU Foam Carpet Underlay, it offers good comfort underfoot and helps keep the room warm by providing thermal protection between the carpet and ground underneath. 145kg/m3 density. Extremely easy to handle. Suitable for commercial and residential use. Suitable for all areas of the home.UK manufactured. This is our high quality underlay and highly recommended when purchasing any carpet with us.Specifications:Thickness: 11mmTog Rating: 3.13DB Ratin.. 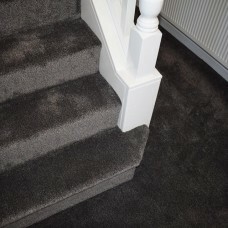 This 5mm thick Polystyrene Laminate Underlay offers good comfort underfoot and helps keep the room warm by providing thermal protection between the carpet and ground underneath.Provides a level subfloor, allowing even the most uneven areas of the home to become level.2.15 TOG, meaning it can make even the coldest of rooms such as cellars cosier and warmer.Polystyrene material, this underlay comes as boards which can be cut to fit easily.Suitable for medium traffic, great for hotels or&.. This is our Bronze 8mm PU Foam Carpet Underlay, it offers good comfort underfoot and helps keep the room warm by providing thermal protection between the carpet and ground underneath.Extremely easy to handle.Suitable for residential use. Suitable for all areas of the home.UK manufactured. RRP £4.99 SQMThis is a medium quality underlay and recommended as an underlay option for any carpet purchased through us.Specifications:Thickness: 8mmTog Rating: 2.18DB Rating: 32DBConc.. This is our 8mm Rubber Crumb Carpet Underlay, it offers good comfort underfoot and helps keep the room warm by providing thermal protection between the carpet and ground underneath.Highly durable,Suitable for residential & commerical use,Suitable for all areas of the home,UK manufactured, 3.1kg/m2.This is a high quality underlay and recommended as an underlay option for heavy domestic or commercial usage with carpets purchased through us.Specifications:Thickness: 8mm.. This is our Diamond 9mm PU Foam Carpet Underlay, it offers good comfort underfoot and helps keep the room warm by providing thermal protection between the carpet and ground underneath. 180kg/m3 density, Extremely easy to handle, Suitable for commercial and residential use, Ideal for stairs, landing but also any room,UK manufactured. This is our highest quality underlay and highly recommended for increasing the lifespan of your carpet.Specifications:Thickness: 9mmTog Rat.. The Amber Soft Touch Carpet Range is one of our high quality hardwearing but soft twist pile carpets.Now available as a carpet runner!Stain resistant & Fade resistant Bleach cleanable & Hard wearingGreat for stairs, landings & hallways2 Ply Pile - Adds density, depth in colour and wearability Pre-whipped on widthsCan be used as a mat or fitted as a carpetAction backing - Underlay & Grippers are required.It is available i.. The Amber Soft Touch Carpet Range is one of our high quality hardwearing but soft twist pile carpets.Now available as a carpet runner!Stain resistant & Fade resistant Bleach cleanable & Hard wearingGreat for stairs, landings & hallways2 Ply Pile - Adds density, depth in colour and wearability Pre-whipped on widthsCan be used as a mat or fitted as a carpetAction backing - Underlay & Grippers are required.It is available&nb..